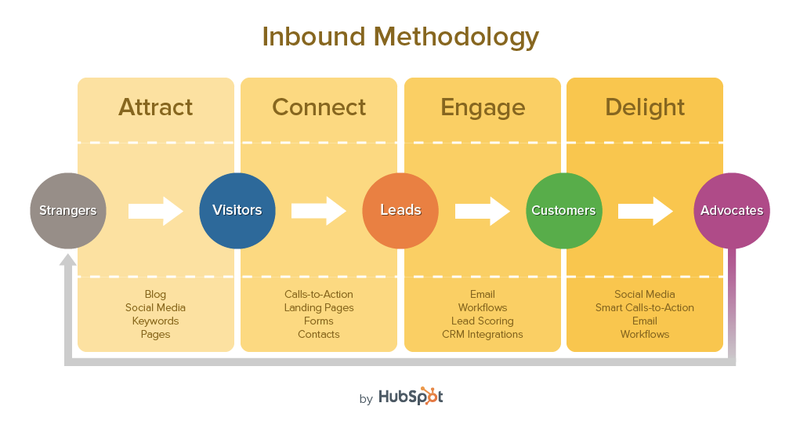 Inbound is a new way of doing things. It’s a change in mindset and tactics, and it’s a great equalizer for businesses that can’t compete against the seven-figure budgets of the big guys. Traditionally businesses grew through targeted outbound sales tactics. Cold calling, in-person meetings, and referrals drove service businesses and helped increased sales. It was arduous, time consuming work, but if you were good at it, you could make a difference in the bottom line of your company. The digital landscape has changed things. Where once it required tens of thousands of dollars to build awareness through advertising and even more to hire a good sales person, small and medium sized businesses can now leverage digital channels to build authority and relationships with their prospects. Inbound marketing is all about creating that connection through value and followup. The process starts with expanding the funnel and creating an opportunity for visitors to your website to find value. Through well written content, targeted offers, and key downloads you know your prospects need you can build authority and provide value. After capturing information from your visitors, you now have the opportunity to build a relationship through ongoing communication. Rather than selling something the moment someone walks in the door, you’re legitimately asking if there’s anything you can help them with. The answer is yes more often than you might think and the lead pipeline starts to grow as more and more people enter and are encouraged to trust your business as one eager to help them solve problems. The magic really comes in during the conversion process. Traditional outbound methods relied on heavy numbers. For every 100 calls you made or leads generated online, you might be lucky to get a yes from one of them. Inbound marketing extends the cycle, allowing you to send more education and value-laden offers and messages to your leads who are not yet ready to buy. 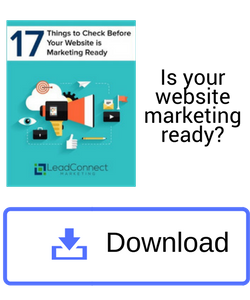 If all someone has done is download an eBook or read your blog, we keep sending them similar content until they are ready to reach out and talk to a sales person or request a consultation. No sooner. Inbound marketing works because it taps into the natural desire of your prospects to trust you. They want to know there is an expert out there who has their back, but so many websites and so many companies go straight to the hard sell too quickly. They want to get the conversion and as a result, they push their prospects away. Inbound works because it’s authentic and in an age of digital anonymity, authenticity sells. If you’re ready to learn more about how to build an authentic, high converting brand online, contact LeadConnect today.